The APHA, or the American Paint Horse Association, is the one of the largest breed registries in North America. Headquartered in Fort Worth, Texas, it was founded in 1965 in order to register horses from the mating of registered Quarter Horses. 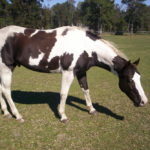 Registries such as the APHA were necessary in the twentieth century; prior to the widespread availability of DNA parentage testing, certain other registries would not register horses with excessive white markings—also known as cropouts. 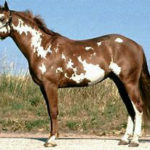 The American Paint Horse Association, in its original iteration, was a registry for horses with these particular markings. It enabled the tracking of specific bloodlines and registry of ownership. 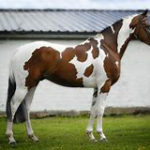 Moreover, the registry considers the American Paint Horse to be a horse breed with distinct characteristics—it is not defined solely by a specific color or pattern. Currently, the APHA sanctions horse shows and holds an annual Youth World Championship Paint Horse Show. It also hosts an annual Open and Amateur World Championship Paint Horse Show every November. They offer racing opportunities and competition prize funding for open shows held by the National Snaffle Bit Association and the National Reining Horse Association. If you own or breed Paint Horses, the APHA is a necessary website to visit—it fosters a community of American Paint Horse enthusiasts and provides opportunities for racing and competition.